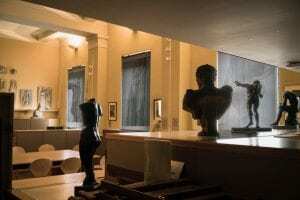 Blog post written by Liz Rideal, Leverhume artist in residence at UCL Art Museum and Reader in Fine Art at the Slade School of Fine Art. The trace is the appearance of nearness, however far removed the thing that left it behind may be. The aura is the appearance of a distance, however close the thing that calls it forth. In the trace, we gain possession of the thing; in the aura, it takes possession of us. 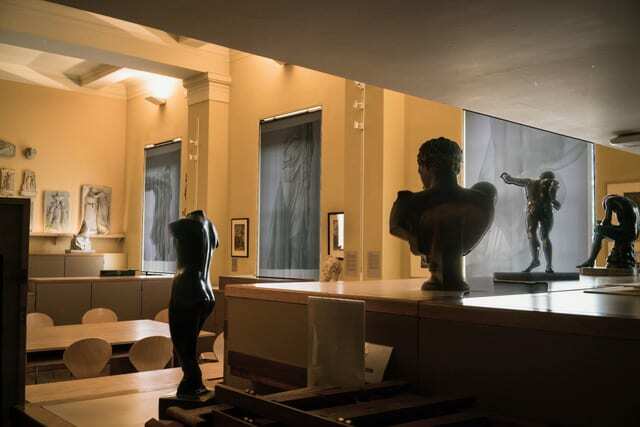 All of the UCL Museums exist in compact spaces, the Art Museum is no exception with John Flaxman‘s (1755-1826) sculptural bequests crowding the walls, leaving small gaps for temporary exhibitions. The advantage here is that the plethora adds to the excitement around what is available to see, and the Legacy exhibition of Richard Cooper Jnr (1740-1822) makes an unusual eighteenth century complement to the permanent display. Cooper Jnr’s prints are exhibited so that one can compare, contrast and appreciate their repetition of landscape format and small scale. We can recognise the tropes made familiar by his precedents, Nicolas Poussin (1594-1665), Claude Lorraine (1604/5-1682) and lesser known but more famous in his day, Herman van Swanevelt (c.1603-1655) with their reiterated Italianate views made popular by print and available in albums. It emerged that the museum curatorial assistant George Richards’s Masters was on The Dutch golden age. A landscape print of Richard Cooper Jnr’s ‘after Swanevelt’ was in the display, consequently I was able to expand his knowledge of this artist through sharing art historian Sue Russell‘s research into Swanevelt, thus making further connections – another unimagined benefit of my Leverhulme research grant.